It looks a little like a piece of a broken plastic toy, but this lovely cerulean object is far more important. John Valley, professor of geoscience at the University of Wisconsin-Madison, has confirmed that it is the oldest known fragment of Earth. The piece of zircon was found in a riverbed in Jack Hills, Australia thanks to recent erosion. 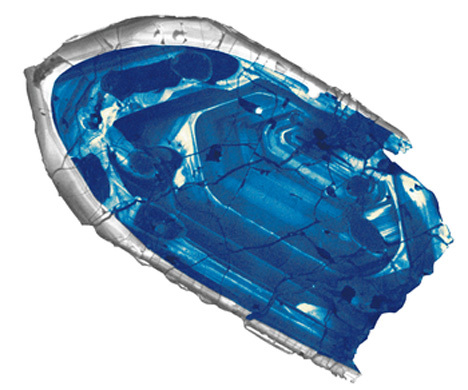 This tiny gem was determined to be 4.4 billion years old. Valley and the international team of researchers he worked with used atom probe tomography to date the material. This new technology allows scientists to determine the mass of individual atoms within an object, providing an accurate picture of when the material was formed. 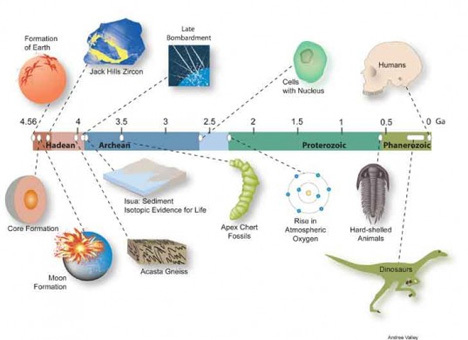 The zircon also gave scientists a clearer view of how and when the Earth formed. The crystals were formed some 160 million years after our solar system formed, when our planet had ceased to become a fiery ball of magma and begun to cool enough for the crust to form. According to the team of scientists, these pretty little pieces of rock are like time capsules, cluing us in to just how and when the Earth became habitable. See more in Space & Time or under Science. March, 2014.